My dad and both of my grandpas wore a lot of plaid shirts. Plaid reminds me of them. Since Father’s Day is right around the corner, I made some fun envelopes to go with a gift. Each of the 12 free printable templates fit on a letter sized paper, and the finished dimensions are 6.25” x 4.25”. 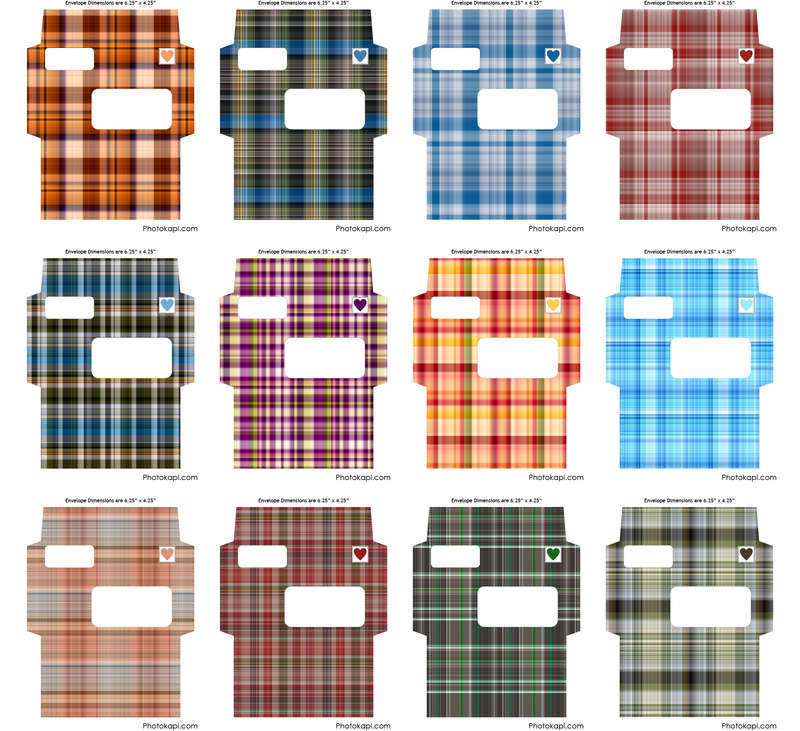 The plaid backgrounds I used are available on Etsy: https://www.etsy.com/listing/602868326/100-plaid-backgrounds-for-digital – there are 100 different patterns to choose from, so I picked my favorites.